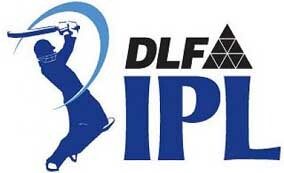 22 Mar : With the state governments playing tough on sparing forces for security, the Indian Premier League was on Sunday shifted to another country amid speculation that England or South Africa would be the venue for the second edition of the high-profile event. However, the IPL will be held on the same schedule and there wont be any change in the format. The decision to shift the Twenty20 tournament out of the country was taken at the BCCI’s emergency Working Committee meeting in Mumbai to take a final call on the cash-rich event which had run into rough weather because of security apprehensions. "Because of the attitude of the government that they are not ready to spare security forces for the cricket tournament… we are forced to take the decision to move the event out of India," BCCI President Shashank Manohar told a press conference. "So the Board has decided to take the tournament out of the country. We are in discussion with other Boards who are willing to host the event. I apologise to the people of India for moving the tournament out," Manohar said. "But we’re are going ahead with the event so that they can at least watch the event on television," Mahohar added.The BCCI President said venue would be decided in next couple of days. "We are in discussion with other boards and will decide the venue in next 2-3 days," he said.IPL Commissioner and Chairman Lalit Modi, who was also at the press conference, said the number of matches, format and timing of the event will remain unchanged and the organisers would not tinker with the "integrity of the tournament". "Dates and timings of the matches will remain the same. The Indian audiences can watch the matches at 4 pm and 8 pm IST as they did in the inaugural season," Modi said. "Revenue cannot be an issue, the 59-match tournament will remain as 59-match tournament. The issue is the integrity of the tournament.”"We want to ensure the quality which we deliver and it cannot be compromised. We have to deliver the world standard event," he said. Manohar also expressed his displeasure at the state governments’ attitude, saying Andhra Pradesh and Maharashtra Government changed there stance at the last moment. "The AP government revoked its earlier permission… and Maharashtra Chief Minister wrote a letter that we can’t host matches in that state until 13th May. We had scheduled 18 matches for Maharashtra," he said. Asked if franchise were also taken into the confidence before taking the decision, Manohar said "the franchise would want the tournament to go ahead".